In this digital plug and play world, you would expect to order a digital based phone service such as VoIP, connect it to your local network and Internet connection and immediately have a dial tone. Most times this is indeed the case but occasionally, an incompatibility will occur between hardware (and software) in your communication path and your VoIP service may experience problems. In this article we have collected information from some of the most well known service providers in the VoIP space and also from testing we have done internally at WhichVoIP.com in order to create a comprehensive list of over 270 modems and routers and their corresponding compatibility with VoIP. We view this page as a working document and one that can be updated over time. Please use the comment form on this page to let us know your findings so we can keep this page up to date. Which Modems and Routers are Compatible with VoIP? Find your modem or router in the list below to see if there are any known compatibility issues when using it with VoIP. We have structured this table so it indicates the make and model of a modem, router or firewall, whether it is compatible with VoIP and some accompanying notes. In terms of compatibility, we have tried to keep this to two options, compatible (thumbs up) and incompatible (thumbs down). This of course cannot be 100% accurate as there are many variables at play but is based on our findings from our internal testing and also from data gathered across the Internet. 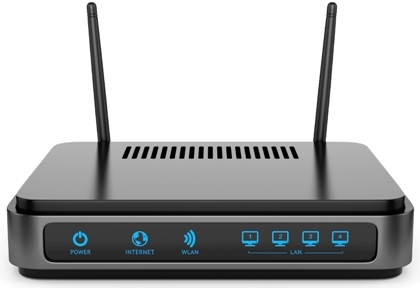 You will see some common themes in this list of over 270 modems and routers across more than 60 different manufacturers. The most common problem is SIP ALG (Application Layer Gateway). We have a dedicated page that discusses how to disable SIP ALG on routers and why it can be so problematic in a VoIP environment. The real issue at hand is that many of the device manufacturers do not provide access to the SIP ALG setting and tend to have it enabled by default which can cause real problems. If you are seeing dropped calls, one way audio or general registration issues, we always recommend some investigation around SIP ALG. This may also be referred to by some device manufacturers as SIP transformation or SPI (Stateful Packet Inspection). If you are having no success and your device is marked as incompatible below your best option may be to replace it with a compatible device. Another option is to place the device in question into DMZ or bridge mode so it is not affecting the SIP packets but in some cases, even in DMZ mode, issues can occur. We now have a SIP ALG VoIP detector test as part of our VoIP testing suite. It may be worthwhile running this test and once done, look in the summary results to see whether ALG is on or off. Need help choosing a good router? This article we created on the top 10 routers for VoIP should be a good resource for you. Each device in this list is compatible with VoIP and you should have access to the router ALG setting. PLC 3801HGV, PLC 5031NV, PLC 5168NV-110 Registration issues and no way to disable SIP ALG. All hot spot type modems Latency can affect audio quality. F2300, GT704, PK5000 Audio issues. Recommend DMZ mode and use a different router. C1000A, PK5000(A), Verizon 1000 and 2000, GT784WN/V Potential for one-way audio. No way to disable the ALG configuration. Q2000, Frontier F2250, MI424 (hardware E or higher) Disable SIP ALG. Make sure software ALG firewall is OFF. If using Polycom phones, suggest adding 8.8.8.8 and 8.8.4.4 as DNS custom servers (i.e. Google DNS servers). For MI424 you may need to add QoS rules for the VoIP provider's PBX. Ask provider for details. 1000, 2000 (Verizon) Make sure ALG disabled. Firewall must be LOW or OFF. Disable DNS proxy/relay. May still have issues. Recommend replacing. GT784WN, GT784WNV (Verizon) No way to disable ALG. Set firewall to OFF or likely will have fax issues. Recommend replacing. NetVanta 3200, NetVanta 3448 Disable SIP ALG. Add Google DNS servers (8.8.8.8 and 8.8.4.4) if using Polycom phones. Disable DNS relay/proxy. Increase UDP time out values (e.g. to 600 seconds). Some providers offer configuration details. U10C037 Replace. Even in DMZ or bridge mode there are issues with this device. All models Audio and registration issues. Replace. A1354, A1408, A1521 Known issues. Do not use Wireless G version. Airport Time Capsule Issues. Replace device. DG860, DG1670A No way to disable SIP ALG. Dropped calls. DHCP server has multiple issues. Replace or DMZ to better router. Issues with bridge mode too. TG852, TG862, DG860A, DG1670A Recommend changing firewall setting to LOW to improve stability for audio. New version only as old versions you cannot disable the ALG configuration. Do not recommend this device if you are using Polycom phones due to inability to change DNS servers. RT-AC68R, RT-AC68U, RT-AC66R, RT-AC66U, RT-N66R, RT-N66U, RT-AC56U, RT-N56R, RT-N56U, RT-N14U, RT-N16, RT-N16R, RT-N12B1, RT-N10+ Certain firmware version can cause problems with dropping audio. Disable ALG (Telnet required for this on some firmware versions i.e. enable Telnet and then nvram set nf_sip=0 and then nvram commit and power cycle). Check Advanced Settings > WAN > NAT Passthrough > SIP Passthrough and verify disabled. All Known issues but can usually work. Disable ALG and if still issues upgrade firmware. All Disable ALG (Firewall > Firewall Rules > Custom FirewallAccess and then disable SIP rules). Also worth increasing UDP timeout period (e.g. 600 seconds) as otherwise this could cause NAT problems. All Enable SIP ALG for this device but expect audio issues. Best to DMZ to a compatible router. F5D, F6D, F7D, FDS, F9K Series (and others) Registration issues and intermittent audio. Also no way to disable ALG. Replace. Branded models Audio issues. Replace or DMZ to compatible router. N300 DD-WRT, N450 DD-WRT, N600 DD-WRT, AC 1750, WZR-1750DHPD. Also any other DD-WRT version DD-WRT firmware is robust and has many features. Should work fine with VoIP. Non DD-WRT stock models and DD-WRT NXT (stripped down) Audio and registration issues. Replace. All DMZ mode. Need ISP help to do this. C1000A, PK5000, PK5000A No way to disable the ALG configuration, which causes audio problems and sometimes registration failures. Try disabling the software firewall as it causes registration issues for phones (unless phones are UDP port 5060). DMZ mode or replace. UTM Firewalls Disable ALG (SIP Protocol Handler > set to Disabled). Increase length of UDP timeout. Branded models Disable firewall and place into DMZ mode to a different router. DDR220, Valet (all models), WRV210 Audio and registration problems. Replace with better router. DPC3825 Replace. Even in DMZ/bridge mode issues remain. DPC3939/B, DPC3941B/T, DPQ3925C, DDR2200 Change firewall to LOW setting. May still be issues with SIP NAT ALG (enabled by default). Try enabling NAT. For DDR2200 Cisco SIP ALG is disabled through a hidden page ([your ip address]/algcfg.html then disable). 860, 861, 880, 881, 890, 891 Some optimization may be necessary. Providers may have configuration files for these. NexusLink Tends to be hit or miss. Disable ALG, but sometimes still need to place in DMZ mode or replace. CT-5361T, CT-5611T Disable ALG (Advanced Setup > NAT > ALG > Uncheck SIP Enabled). All Replace. Issues observed even in DMZ or bridge mode. DSL-2730U, 2750U Audio issues. Recommend replacing. DIR-600, DIR-615 3.X firmware NAT ALG must be enabled in order to register phone but over time it causes registration problems. DIR-601, DIR-632 One way audio. Replace. DIR-628, DIR-825, DIR-835 Current firmware has issues for VoIP. Replace or try new version when it gets released. DIR-655 Rev B or Newer Some registration issues reported. DIR-655 Rev A , EBR-2310, WBR-2310 RevA Disable SIPALG and SPI firewall. DIR series in general is hit or miss based on version you are using. Recommend uploading latest and greatest firmware and try to disable ALG in order to maximize chance of success. All firewalls Disable DoS protection and ALG (may need to be done over Telnet using sys sip_alg 0 and then sys commit and sys reboot). 200AE, 250AE, 4550-15, 4700, 4750 Disable SIPALG and QoS may be needed. Some providers offer specific configurations for these routers. All Disable ALG and also disable option 66. All Disable ALG and SPI firewall. Some people have had success others needed to replace device. All Disable ALG and Quality of Service (QoS), then DMZ to better router. All Audio problems. DMZ mode or replace. All Some success when disabling ALG which likely will need help from Internet provider. If issues DMZ or replace. SSG5 SALG enabled by default. Can cause 1-way audio and call drops. Disable ALG (Security > ALG). Create access rules if necessary. BEFS Series, BEFSR Series, E3000 Replace. E900, E1200, E2500, E3200 v1, E3500, E4200 v1 and above, EA4500 v1, EA6900 v1, WRT610N Disable Linksys SIP ALG and SPI firewall. RV016, RV042, RV082, RV110W, RV120W, RV160, RV0162, RV180, RV180W, RV215W, RV320, RV325 Best to disable load balancing and also SIP helper. Most have ALG enabled by default, which is usually fine for Cisco but worth noting that not across all versions of firmware. Recommend increasing MTU size to 1500. Increase UDP port timeout to 600 seconds. RVS4000 One way audio after doing attended transfers. Recommend replacing. WRT100, WRT110N, WRT120N, WRT150N, WRT160N, WRT300N, WRT320N, WRT350N, WRT54G, WRT55AG, WRV200, WRV210, WRV54G, WRT610, LRT224 Registration issues and audio problems. Appears to be no way to disable ALG. Recommend replacing. If you can replace Linksys firmware with DD-WRT firmware you will have a good chance of success for VoIP calls. Not possible for all variants though WRT54 is popular and has options. MWN-WAPR150N Registration and audio problems. Replace. MX64, MX84 Some providers offer configuration files to optimize settings for VoIP. All Mikrotik SIP ALG should be disabled. Mikrotik has a forum on how to do this for their routers. NVG510, NVG589, 3360, 2210 No way to disable ALG (contact provider if need this as may be way to do it using Telnet but depends on ISP i.e. set ip alg sip-enable off). This causes calls to drop. Passthrough required to compatible router or replace. NVG595 Turn off SIP ALG (Firewall > Firewall Advanced). Add google DNS servers (8.8.8.8 and 8.8.4.4) if using Polycom. May need to get ISP to add this for you. SBG6580 Disable ALG and ensure firmware is 3.3 or newer. Still some reports of issues but newer firmware should help. Netopia 2000, Netopia 3000 Disable ALG. Disable DNS proxy if using Polycom phones. Make sure firewall set to ClearSailing or lower, otherwise expect registration issues. Can use PuTTY to access SIP settings (e.g. set ip sip-passthrough off). R6100, R6200, R6220, R6250, R6400 Latest firmware needed plus disable ALG and DoS (Denial of Service) settings. R6300 v1, WGR614 v8 and above, WNDR3400, WNDR3700 v1/v3/v4, WNR3500L v1 and above, WNDR3300, WNR1000 v2 and above, WNR2000 v2 and above, DG834G, AC1750, FVS336G Disable Netgear SIP ALG and DoS settings. Some providers offer configuration information. May need latest firmware to access ALG. R7000 Nighthawk, R8500 Nighthawk X8 Disable SIP ALG and DoS settings. Also do not setup QoS. May still have some audio related issues or registration failures. AC1450, RP114, FVS Series, JNR Series, JWNR Series, R4500, R6050, R6700, R6900, R7000, R7500 Nighthawk X4, R7900 Nighthawk X6, SRX/UTM (all models), WGT624, WNDR3400, WNDR3700 v2, WNDR3800, WNDR4000, WNDR4300, WNDR4500, WNDR4700, WNDR4720, WNR1000 v1, WNR2000 v1, WNR2500, WNR3500, WNR834B, WPN824, MR814, FVS318, FVG318 Dropped calls and poor audio. Try updating firmware to see if ALG setting becomes available. Otherwise, replace. 7550 Disable ALG and DoS. DMZ mode if still issues. C3000, C3700, C6300, C7000, WCOM, CG814WG/T, CGD24G Audio problems and also dropped calls. Replace. CG3000 (Comcast!) Problems even when in DMZ or bridged mode. Note that Comcast often brands this device and gives you no access to SIP ALG (some forums suggest Comcast SIP ALG can be disabled if you call them). Many problems reported with this device. Recommend replacing. Get a Motorola Surfboard modem (e.g. SB6141) and use your own router. Can then remove the Comcast rental fee for the modem. Will likely pay for itself within 6 months. I can personally attest to issues with CG3000 and spent way too many hours troubleshooting. CGD24G Issues. Recommend pass-through to compatible router. Cloud devices DMZ mode and likely need ISP help to do this. PLC 3801HGV, PLC 5031NV, PLC 5168NV-110 Disable attack detection and put into pass-through mode to better router. Consider adding custom service to all SIP traffic through on ports 5060 through 5080. Many models give no access to SIP ALG so unable to disable. Some phones will have registration issues (e.g. Polycom) due to the inability to add DNS servers. Bridge mode is not effective so even doing this and using another router will not guarantee success. Also recommend editing UDP session timeout to something higher (e.g. 600 seconds). Q1100, G1100 Dropped calls. Also Busy Lamp Field (BLF) issues. Recommend DMZ to other router. No way to disable ALG. RNX-AC750RT Disable ALG. Some providers have configuration files for this router. All Latencies are very high for satellite service since they are in geo-sync orbit 22,000 miles up. VoIP does not work well with satellite Internet service. SpeedStream 5100 Audio problems. DMZ or bridge to better router. All Drops calls and audio artifacts. Replace or DMZ to another router. Ubigate Disable ALG but need Internet provider assistance to do this. SMC 3100, SMC D3GNV Audio problems. DMZ to better router. SMC 8014, SMC D3G-CCR Typically can be made to work. Disable Smart packet detection (SPI firewall). All Generally, you will have good success with Sonicwall, especially the newer models (SonicOS Enhanced). Upgrade to latest, stable firmware. Disable ALG (called SIP Transformations). Enable consistent NAT. Create access rules if necessary. TC8305C, TC8715 Firewall should be changed to the low setting which may help. No way to disable ALG. Best to replace. DWG-855, TG585 v8, TG587n v2 and above, TG585 v8 Audio problems. Replace or DMZ to a different router. Most models Replace. Audio problems. Archer C3200, Archer C9 AC1900, SafeStream TL-600VPN, TL-WR1043ND v2 Disable ALG, if applicable. Some providers have configuration files on offer for these routers. Disable DNS Proxy/Relay. TEW-639GR, TEW-711BR, TEW-731BR, TW100 Replace. Audio problems due to ALG. No way to disable. DDW3610, DBW3611 Depends on firmware version. Many do not allow you to turn SIP ALG on or off. Edgemax Edgerouter, Air router HP Must disable ALG (Network tab then uncheck NAT protocol). For Edgerouter need to use the CLI (configure then set system conntrack modules sip disable and then save and then exit. XWR100 Unstable software firewall. Try newer firmware. May need to replace. XTM Series No issues if using port 5060 for SIP control traffic. Increase UDP timeout to 600 seconds. X-edge E series No issues if using port 5060 for SIP control traffic. ALG disabled by default. Increase UDP timeout to 600 seconds. 6100, 7500, 9100 (Verizon) Disable ALG (Advanced > ALG > uncheck SIP). Disable software firewall but still issues. The keep alive packets would have to be around 5 seconds for this to work and keep pin hole open. However it does not maintain this after re-boot. Suggest replacing. MyNet N600 Disable SIP ALG. All Audio problems. Replace or DMZ to a different router. All Audio problems and dropped calls. Replace with compatible router or DMZ to one. P-660HW, P792H v2, PK5001Z, ZyWall USG series Disable SIP ALG for Zyxel. Disable software firewall. Hopefully you have found your modem, router or firewall device in this list and it has helped you determine compatibility with VoIP along with some tips to improve your setup. If you have anything to add to this list please use the comment form below so we can update this page as more data becomes available. I manage IT things for a local homeless shelter. We use VOIP with Vonage as the provider. We've had call dropping issues, which Vonage say is due to our Verizon provided Actiontec router. Even after setting up DMZ to fully compatible Netgear WNDR3500, we still have issues. Vonage has given us mixed messages and has been generally not useful. Also, is it possible that the issues are not due to routing, but rather due to having only 1mbps upload speed? We sometimes get 20 calls at once when we run lotteries for open beds. -> Response: Sorry to hear about your troubles. Sometimes the Actiontec devices can cause problems - which model is it you have? - Make sure SIP ALG is disabled in the Actiontec device. This is very important and can cause issues for SIP calls. Note that sometimes the ISP does not allow access to this setting. - Can Vonage try changing the transport for the phones from UDP to TCP (or vice versa)? Sometimes moving to TCP can help. - The upload speed could indeed cause problems for large call volume. Do you know which codec Vonage is using? They could potentially change this to a lower bandwidth Codec to help alleviate this issue. - I was wondering if you could take advantage of auto attendants to try and spread the calls when you run the lotteries. In other words could the auto attendant be used for the actual lottery. Likely some thought needed here on the design but maybe that way you can ensure that the AA is used for the lottery and only the first X calls get through to actual phones. The others stay on the AA (or go to voicemail) thus staying on the Vonage PBX and not eating up all your bandwidth going to the phones.